Growing up on a farm and having tons of space (ie 130 acres) to garden, raise chickens and play, I tend to forget no everyone around me was so lucky! I easily forget how long it took me to master growing tomatoes. I also forget that it takes time to learn all this! I recently went to a Home & Garden Show here in San Diego. If you know me at all, you know that is a dangerous place for me! I tend to come away with more ideas than I could ever finish! 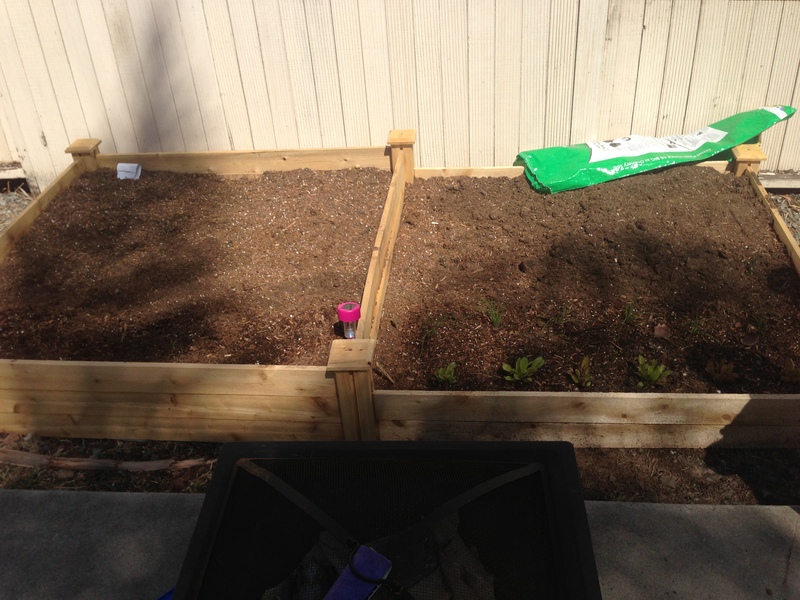 So I decided on a couple of raised beds for salad mix. 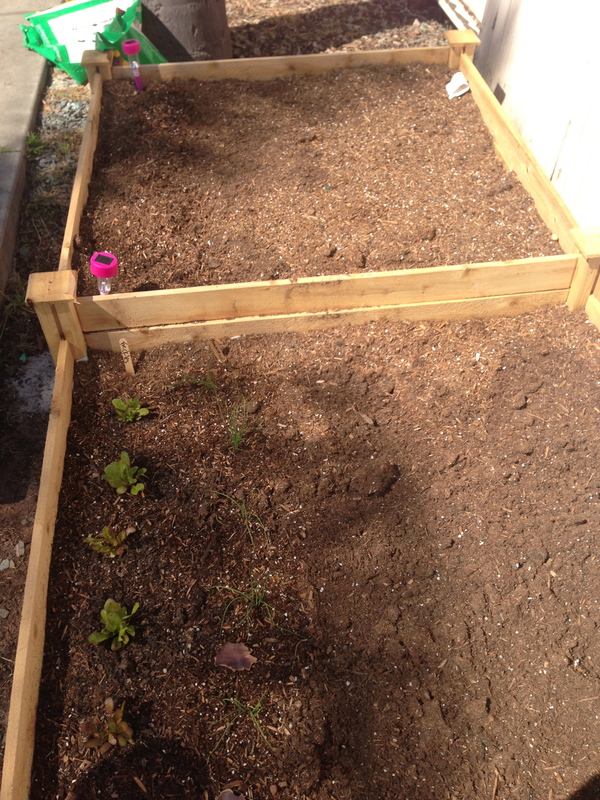 So far I have two raised beds with corn, lettuce, onions and pumpkins….right in my backyard! Did I also mention I have about a dozen tomatoes started and some peppers? Yeah, I’ll be making my own salsa! All from my back yard in the middle of San Diego! I still have more planting to do. I want a salad mix and carrots and maybe some broccoli. The kids are having a blast planting flowers everywhere and watering their garden. It’ll all be worth it when we harvest it….of course I’m planning on a continuous harvest, because I am planting in succession. I may not be on 130 acres anymore, but I can still enjoy my little Urban Garden! Now to convince the hubby we should have chickens…. I am so ready to plant! Jealous!